After Jurassic World exceeded all expectations to clean up at the box office in 2015, the production of Jurassic World: Fallen Kingdom was fast-tracked. But after the intense nostalgic trip of the first film, what could its sequel possibly have left to offer us? I enjoyed getting a chance to dress up in black again and say a couple of things about science and being a proponent of science. The human curiosity and investigation and fact-based storehouse that we have is deeply valuable and must be esteemed and celebrated, but those who would use the animal kingdom and our scientific achievement and knowledge for profit or cheap entertainment or ticket sales or, heaven forbid, militaristic power or leverage, ‘woe be to them.’ So I liked getting another crack at that. It’s disturbingly easy to imagine Goldblum’s distinctive cadence speaking those lines, isn’t it? Sadly, though, it doesn’t look like he’s getting back into the ring for round 3 against a Tyrannosaurus Rex in Fallen Kingdom. Instead, his role in the movie is confined to being a witness at the court proceedings to decide whether the park’s genetically engineered dinosaurs should be saved from a volcanic eruption or left to go extinct once more. Still, you never know. There’ve been rumors swirling around that Sam Neill’s paleontologist hero Dr. Alan Grant is also set to make some kind of appearance in the film, and what better way of giving fans what they want than reuniting the grumpy Grant with his excitable mathematician buddy? And why stop there? Why not throw in Laura Dern’s Ellie Sattler while you’re at it? 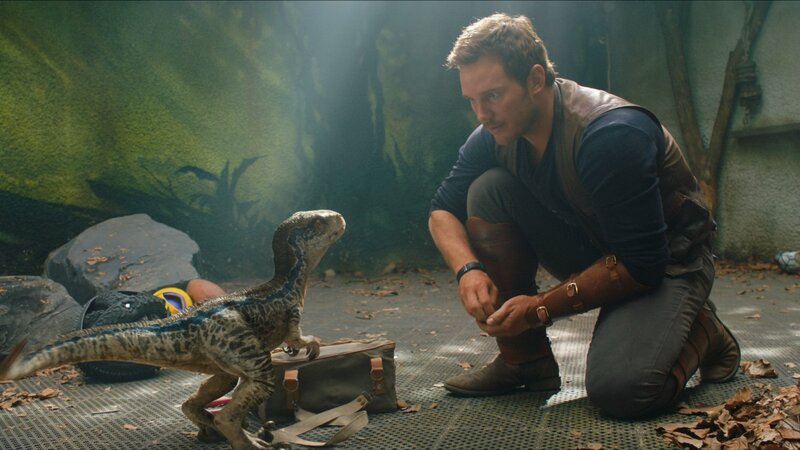 We’ll know precisely what we’ll be getting in Jurassic World: Fallen Kingdom when it stomps into cinemas on June 22nd, but in the meantime, I’d expect to see another trailer attached to Avengers: Infinity War or Solo: A Star Wars Story.